As the Fort Collins plumbing experts, Ace Hi is happy to help you any of your plumbing problems, no matter how big or small they are. We’ve seen just about everything in the plumbing world, whether it’s broken pipes, clogged toilets, or full-on home flooding. Doesn’t matter what it is—we can take care of it for you. 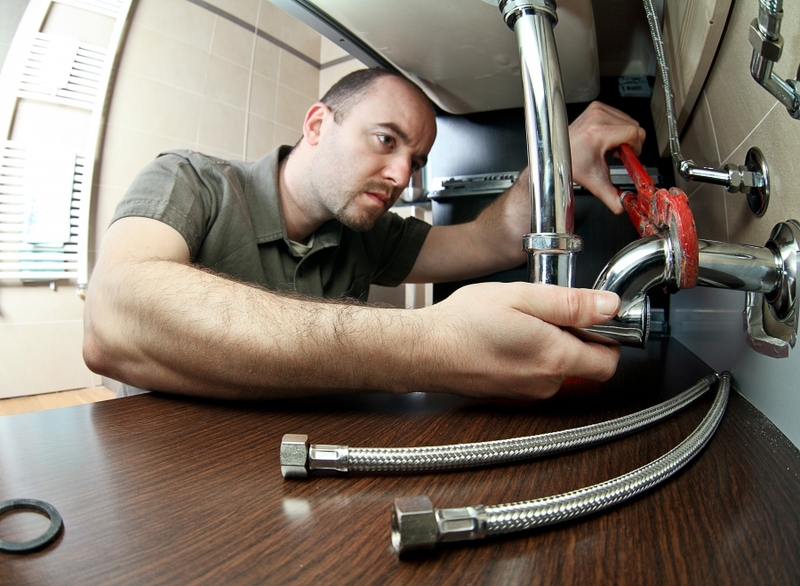 In this blog, Ace Hi will help you understand the plumbing problems you’re causing in your home. Chances are that you don’t even realize your everyday behavior is prematurely aging your plumbing and causing costly damage. SHAME. You’re a big fan of Drano. We understand the appeal of the “instant fix” that is Drano. We also understand that there’s something oddly satisfying about using harsh chemicals to incinerate nasty clogs in your drains. Unfortunately, you’re not just doing damage to clogs. When you use Drano, your causing damage to the inner linings of your pipes, which can cause pipe breaks and leaks. Plus, all of those harsh chemicals get spit back into the environment, causing damage to plant and animal life. A clogged drain is a lot like a house fire—using a fire extinguisher is definitely an effective way to put out a fire, but the most effective way to put out a fire is to make sure you never start one in the first place. Drano will burn through all the hair in your shower drain, but a drain-stopper will keep hair from ever creating a clog—and it’s much cheaper than buying Drano or hiring a plumber. You think of your toilet as a black hole. Isn’t it just dandy to throw your q-tips and baby wipes down the drain and watch them disappear? Who needs to throw out that loaded diaper when you can just flush it? A toilet isn’t a water-powered garbage can—it’s designed to handle organic waste, toilet paper, and nothing else. All those other “disposables”—baby wipes, diapers, paper towels, makeup remover wipes, cotton balls, cat litter, and the like—are not easily biodegradable, and will clog up your plumbing system and cause backups and flooding. Don’t. Just don’t. You abuse your garbage disposal. The garbage disposal is another popular “black hole” appliance—after all, doesn’t all of that bacon grease and all of those potato peels just vanish into a wrinkle in the space-time continuum after you flip the switch on your disposal? Garbage disposals aren’t as strong as you might think—harder and stickier substances can clog up your system and do serious damage to your disposal’s motor. Once your disposal stops working, you’ll wonder what you did wrong, and why your entire house smells like an old chimichanga. This is not what you or your plumber desires. Keep grains, harder vegetables, grease and oil, and anything inorganic out of your garbage disposal, and throw that stuff right in the garbage can. You’ll extend the life of garbage disposal, and you’ll avoid a long soapbox lecture from your local plumber. You’re a toilet puck user. C’mon, man! Those toilet pucks that you throw in your toilet might “freshen” up your toilet for a time and give your toilet water a cool blue hue, but those pucks contain a wide variety of heavy chemicals that can create buildup on your toilet’s components and cause damage to your toilet and plumbing system. Many people who use toilet pucks for years will discover that inner parts of their toilet will corrode and wither away, causing their toilet to stop working entirely. Want to keep your toilet fresh all the time? Then put in the work. All it takes is a little bleach, a sturdy toilet brush, and some good ol’ elbow grease. You have no idea where your water shutoff valve is. Every plumber on the planet has heard the story before: a homeowner has a broken pipe or a faulty dishwasher that’s slowly spewing water into the house. They call the emergency plumber phone line in a panic because, well, their house is a few hours away from sinking under a pool of water. Your home’s tiny water shutoff valve is the difference between a puddle and a pool in your home. Know where it is, know how and when to use it, and relay all of this information to your spouse, your roommates, or your kids. You’ll save your home from expensive water damage, and your plumber will respect you because of your knowledge and emergency preparedness. You depend on your water heater for too long. Standard tank water heaters have a maximum lifespan of 15 years, but you should be looking to replace them after 10 or 12 years. Once your tank hits its 14th or 15th birthday, it’s at a much higher risk for breakdowns and severe, intense, and sudden flooding in your home. Did you hear that? It’s what you deserve. Don’t make this mistake—you deserve a new water heater, not thousands of dollars of home damage. Plumbers are just guys who attach pipes together, right? I can save a few bucks and do my own plumbing, right? You know how wrong this is. There are some things that are great DIY projects, like tiling or painting or even flooring. But your plumbing systems are complex—and the consequences of a plumbing hackjob can be severe for your home and your wallet. Leave your plumbing fixes and addition to the professionals at Ace Hi—we have decades of experiences working on your plumbing needs so you can rest easy. 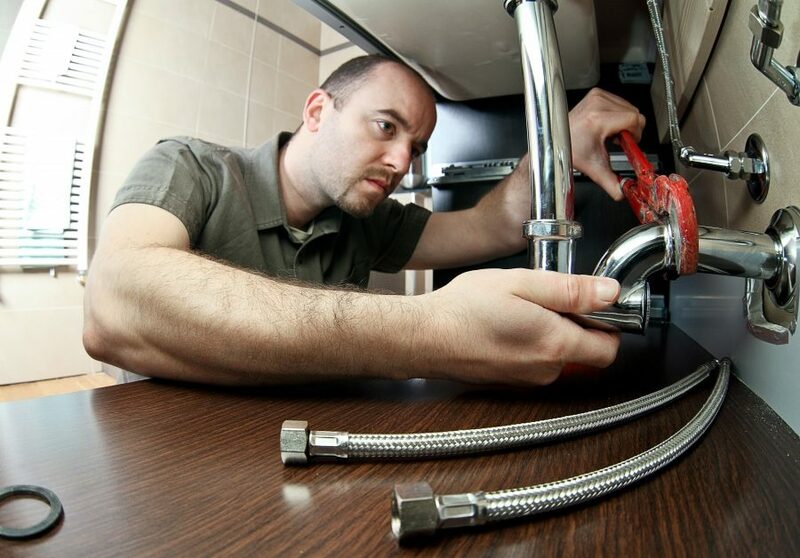 Schedule an appointment with us today—or call us for your plumbing emergencies. No after hours charges after 8 p.m., great service 24 hours a day!